7 Oz. 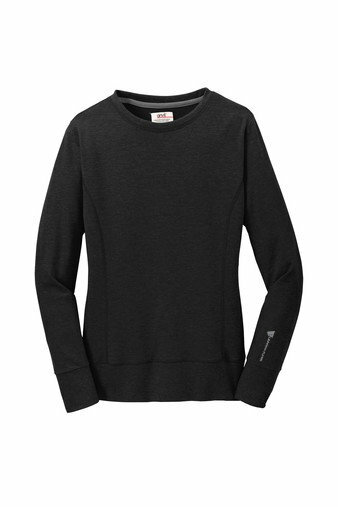 40/60 ring spun combed cotton/poly terry fleece. Semi fitted silhouette with princess seams 1/4 contrast grey neck taping. Rolled forward shoulders. Triple-needle topstitching at neck shoulders and waistband. 1x1 rib knit cuffs and waistband with spandex.